54 posts categorized "Plastic Bags"
Ten months after it was imposed, the fee on disposable bags in Washington, DC still makes sense, although it's not bringing quite the revenue boost that the district was hoping for. Before the tax went into effect, the district's Chief Financial Officer was projecting income of $3.6 million dollars. But so far income has only amounted to $1.3 million. This is reason to celebrate; it means the fee works. Because people are required to pay for bags upfront, people are using half as many plastic bags as before. 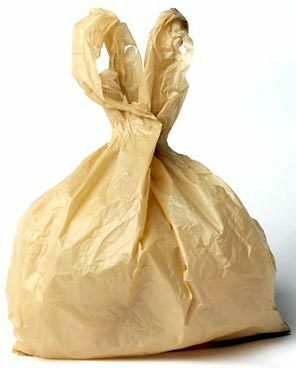 Under the tax, district residents are charged 5 cents for each disposable bag they got at the store. One penny goes to the shop while the other four cents go to the city. The four cents going to the city go toward cleaning up polluted rivers. Those in charge of cleaning up those rivers claim that they have already noticed a reduction in bag pollution. Target has announced it will start offering a 5-cent discount for every reusable bag customers use to pack their purchases. An earlier pilot test among 100 Target stores earlier this year resulted in a 58% reduction in the number of plastic bags used. Your eco-friendly shopping bag could be making you sick, a study says. But before you switch back to plastic, you might want to consider the source. An overly alarming 15-page paper, published on the Web site for Canada's Environment and Plastics Industry Council, concluded that reusable grocery bags are "a breeding ground for bacteria and pose a public health risk" because of high counts of yeast, molds and bacteria. Download the study here. Our Take: What a joke! The plastics industry just won't stop twisting science and sounding false-alarms to justify our plastic addiction. A great level-headed article from the Tribune that turns a critical eye towards this campaign of misinformation, which many journalists simply regurgitate (one of the inflammatory articles we saw on this industry-funded study was titled "Reusable Grocery Bags May Poison You" - no joke). Common sense practices like washing your reusable bag and using plastic when worried about leakage can reduce contaminants. When you're choosing a reusable shopping bag, avoid the cheap ones and steer towards high quality, durable bags that withstand washing. In countries like Australia and Ireland, reusable bags have once again become a part of daily life and they haven't experienced any of these health concerns. Local Chicago artist Cydney Lewis, and friend of our founder Vincent Cobb and his wife Marni, creates one-of-a-kind sculptures out of everyday items. Rather than throwing away plastic, paper, wire and wood, Lewis fashions the would-be trash into wonderful pieces of art. Lewis's jewelry pieces are being sold at Chicago's Museum of Contemporary Art. 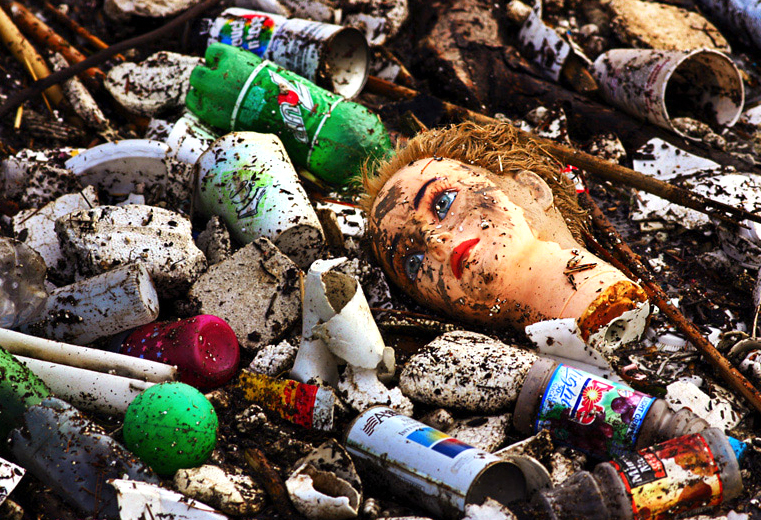 Our Take: Another example of a growing trend we’re seeing – using throwaway items we think of as trash or a nuisance and turning them into something artistic. Artwork that repurposes our waste helps draw attention to the issue of consumption in a creative way. Our Take: Another great production from Free Range Studios – we endorse it as a wake-up call about how much we waste in our daily lives. The 20-minute video is quick and easy to digest & fills in the gap in environmental science left by outdated textbooks. We highly recommend watching it. My malevolence for the plastic bag was temporarily immobilized today while being delighted by the art group Luzinterruptus' celebration of the vessel, with an "impromptu garden of light," installed near The Prado Museum. The installation, called “A Cloud of Bags Visit the Prado” was illuminated for a period of about 4 hours and included roughly 80 recycled baggies, which were inflated with the aid of the wind. Our Take: Who knew plastic bags could be something beautiful? We’re seeing a growing number of artists using the object of our ugly addiction to raise awareness about over-consumption. Link: Plastic Bags Blow...and Illuminate! During the cold and dark Berlin winter days, I spend a lot of time with my boys in their room. And as I look at the toys scattered on the floor, my mind inevitably wanders back to New York. Our Take: A cool, artistic take on the plastic bag issue that also shows the ubiquity of plastic bags in our trees, cityscapes and landscapes, sadly. Ontario shoppers carried home 269 million fewer shopping bags in 2007 than they did in 2006. On the other hand, they still carted off a little more than 4 billion single-use bags over the course of the year. That's 316 bags per year for every man, woman and child in the province. And fewer than one in 12 of those bags found its way into a recycling program. Bill Rosenblatt picks up dozens of plastic bottle caps and cigar tips every time he takes his dog Happy for a walk on the beach. All told, the former mayor has collected about 5,000 to 10,000 caps and about 2,000 tips from beaches in Asbury Park, Allenhurst and here since November. "I'm really heartbroken," said Rosenblatt, a Loch Arbour resident and member of the Jersey Shore Chapter of the Surfrider Foundation, an international nonprofit environmental group. 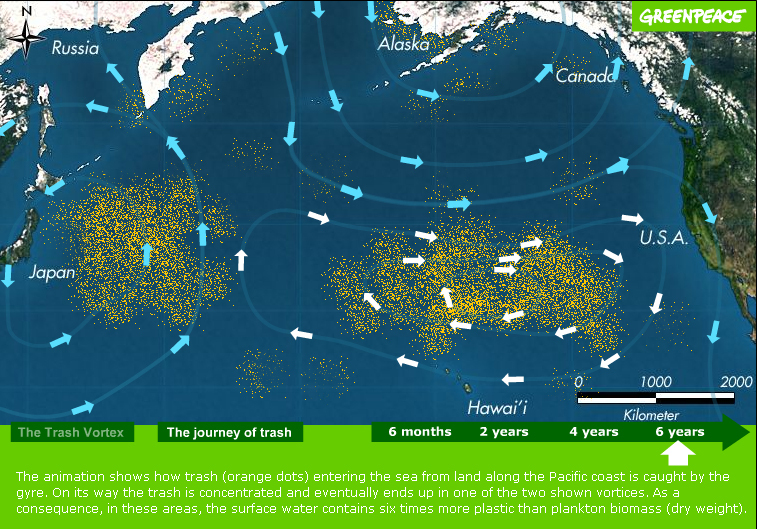 "What kind of oceans are my grandchildren going to find when they're adults?...Plastic is forever." Amid a recent flurry of worrisome reports about plastic, a simple question came up: Could we live without it? Our Take: A great article by a working mom that shows it’s possible to make gradual changes towards consuming less plastic in our daily lives. She discovers the wisdom of reusables – and reinforces that none of us will ever eliminate plastic items, but every small step makes a big difference! Link: A life without plastics? After two days of debate and as many as 25 proposed amendments, Toronto council last night voted by a margin of three-to-one for a groundbreaking series of packaging-reduction bylaws. Our Take: Huge news! While Chicago implemented a bottled water tax in 2008, this is the first bottled water ban we’re aware of – congratulations, Toronto. Banning the sale of plastic water bottles at all city-run facilities is sure to put a dent in consumption. Unfortunately, the 5-cent bag fee voted through just isn’t enough to change consumer behavior. Our founder, Vincent Cobb, joins Ashkay Rao, program director and professor at University of Minnesota’s Carlson School of Management, to discuss why not all reusable bags are created equal. 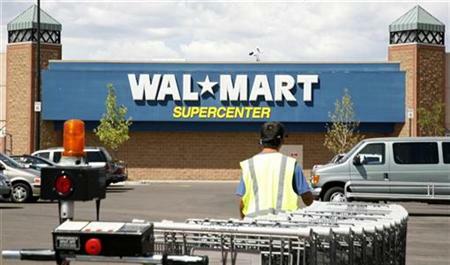 Wal-Mart Stores Inc will give out fewer plastic shopping bags, and encourage shoppers to reuse and recycle them, as the retailer aims to slash its plastic bag waste by a third worldwide by 2013. IKEA announced that starting this month, the company will no longer be offering plastic or paper bags at any of its U.S. stores. They will only offer reusable bags. We’d love to see both retailers adopt some of the progressive tactics of other retailers – charge for plastic bags and offer a credit for any reusable shopping bag customers bring with them. Shouldn't we all, with the price of oil - yes, they're made with oil - and environmental worries, be moving to reusable shopping bags and bins? Plastic shopping bags are a blight, and they never - for all practical purposes - go away. Like that cool site that tracks the growth of the U.S. national debt, Reusable Bags shows the growing number of plastic bags used around the world. It's almost 1 million every minute.